A friend was driving me home, usual for a fellow like me who is afraid to drive himself, in a country that monkey driving is a habit. A CD was playing in his obsessively cleaned Peugeot. It was a ragbag of oldies, most of them boring covers of originally boring songs. Rubbish was playing one after another as a sonic foreground for a gray landscape of a decaying city, where I used to live. Suddenly somewhere between a third rate hippie ballad and an Roy Orbison cover of mini-skirt nostalgia something happened. 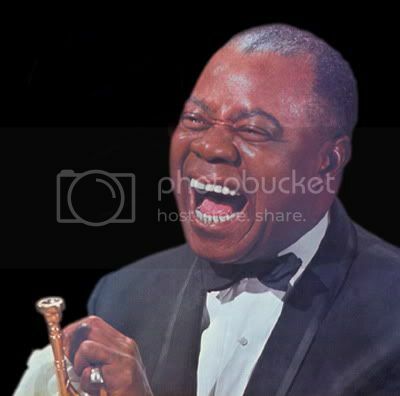 Something that first froze me for a second, then thrilled me for 5 minutes and finally when I repeated that five minutes for more than 6 times I knew that a key song has been added to my uncalled changes of life: Otchi-Tchor-Ni-Ya by Louis Armstrong! Wait! Don't say that it's a an ordinary Armstrong CD-filler or a common stuff because of its public domain status to be included in European oldies compilations. Probably even a great Armstrong biographer like James Lincoln Collier felt the same way, since there is no trace of this song in his 400-page book on Satchmo. 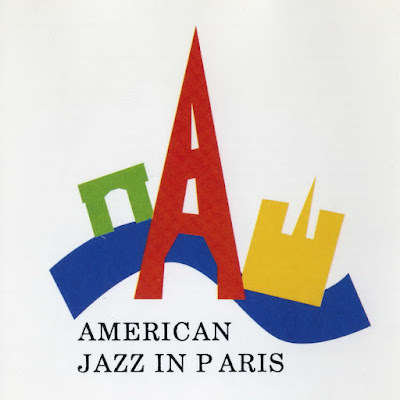 But despite all these preconceptions and misconceptions about latter days of Armstrong (which myself as a 'purist' had the same problem for a long time), it's an absolute musical miracle, a perfect masterpiece that summarize half of a century of jazz in five and a half minutes. 00:01 Billy Kyle's first piano line can pierce any stone, just with that very first note. 00:07 Armstrong comes in - Gabriel plays the horn! 00:10 Clarinet of Barney Bigard, like a beautiful butterfly chasing after another one (here, Satchmo's trumpet). 00:30 There is a indescribable urgency in this music. Saying all the things, all necessary things, all the things that should be said for the last time. 01:13 Satchmo sings. Words are utterly unimportant. It's just jiving. 01:45 Kyle returns. He sound like father of Bud Powell in a slower tempo. Space! Space! 02:14 Band takes off. New Orleans appears before our eyes. It's a manifestation of humanity. 02:55 Bud Freeman from Chicago plays his warm tenor sound on saxophone. So goddamn lyrical! 03:27 ...before Trummy Young's trombone roars with a freedom unheard in the history of the instrument. His first attack is maddening! 03:44 The Socrates of jazz returns with his endless drama of sound and vision. 04:16 Kenny John takes a solo on his drums. Lifting up - lifting up. 04:48 Swing. Extacy. Joy. Cry. This damn thing will never stop. 05:25 Five seconds of silence begins. It's like 5 minutes. Bashir, thanks for driving me home, and thanks for Otchi-Tchor-Ni-Ya. Nice quote "obsessively cleaned Peugeot"
I've seen that Peugeot, clean Is the word. Thanks, thanks, thanks! You've written a beautiful piece on the very first recording I've ever heard of Louis Armstrong. I was 15 then, and found this very track alongside "Basin Street Blues" on the soundtrack-LP of the "Glenn Miller Story".